AI: Artificial Intelligence is the way to communicate with you clients. You don’t have to be online 24 hours to answer your customer’s messages. Chat bots are the robots that chat online with the people to answer their questions regarding your products or services. Chat bots are capable of answering different queries asked by the customers. Chat bots acts as customer representatives and maintain customer relationships. Chat bots work well for the real estate industry. People search for new homes and properties after the working hours. There should be someone to guide these leads in a right way and provide them with whatever information they want, to keep your company ahead of all the competitors. A real estate chat bot is fun and innovative way to interact with the people. Answers usual real estate questions: “What are the plans for loans? Have a look on how exactly Facebook chat bots messenger works. As soon as you click on the chat window, a welcoming message will be sent to the lead. If you ask any question, the bot will reply within seconds answering your question. This is how chat bots makes it easy for the organizations to be communicative with their customers. People usually spend time on viewing property pictures. If someone is really looking forward to buy new property and if they come across your Facebook page, chat bots will help you to gather their information so that you can contact them directly. 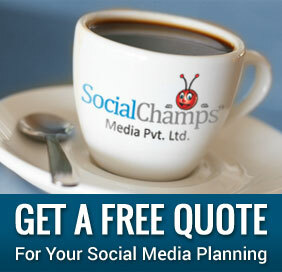 Lead generation through social media has become easier with technology. You can find people who are your potential customers on social media easily. 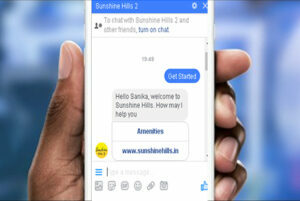 We have built Facebook chat bot messenger for real-estate which is working interesting and people are interacting it more. With recently opened options for bot messenger’s promotions, it can be well propagated.